I really liked this movie. It’s just a classic, good movie. 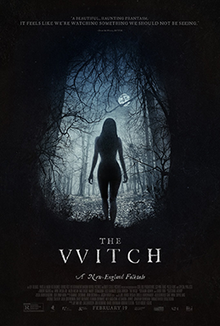 The acting is superb, the plot is interesting, and the suspense is fantastic. I knew just enough going into the movie to be interested in it, but wasn’t really sure what would be happening, so I was along for the ride from the get-go. And it’s a crazy ride. I don’t want to give anything away, so just see it. I had high hopes for this one. I was really let down. I didn’t find it scary at all. The first maybe 3/4 of the movie are super slow and boring. The last bit moved really fast and had some of the best moments, but then it just kind of ends. Also, they speak in this Old English dialect that half the time I could barely hear or understand, so that didn’t help anything. I know people loved it, so check it out for yourself and see. Look, I love the X-Men, and I’m going to enjoy any and every X-Men movie. (X2 might be one of my favorite movies ever.) 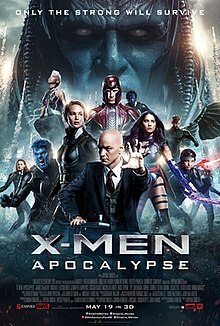 Was this the best X-Men movie? No. Was it the worst? Nope. I left with a lot of questions, but I guess most of them can just be pushed to the side because of the “reset” Days of Future Past gave us. More than anything, I was glad to see a young Nightcrawler in this movie. He’s one of my favorite characters, and is the main reason I love X2 so much. I also really love the Quicksilver scenes that they’re having a lot of fun with in these new movies. Honestly, this movie started out super strong to me. The ancient Egypt scenes were really intense and intreguing, and seeing Magneto with a family and trying to live a normal life was really interesting. Some bad things happen to get the story really going, and around the time I thought I was really going to love this movie, the story starts to fall a bit flat. 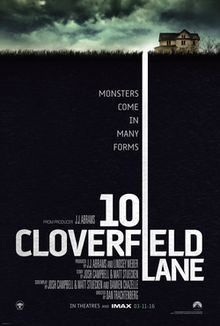 Don’t get me wrong, this is still a fun movie, but the second half didn’t really live up to the first. But, again, any X-Men movie is better than no X-Men movie.